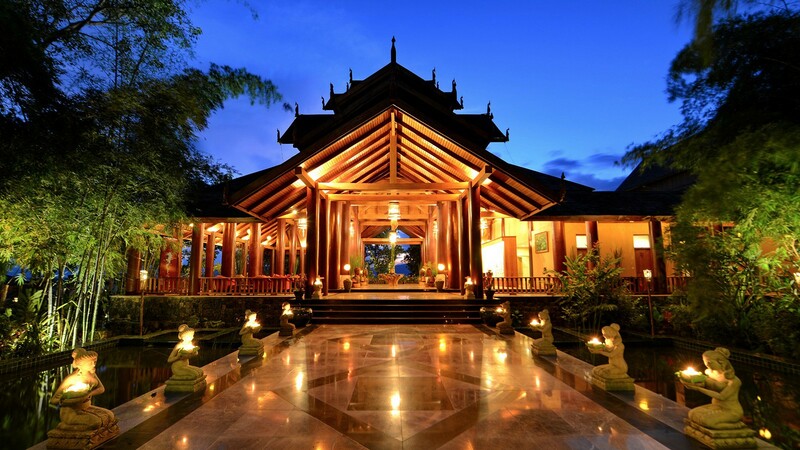 Aureum Palace Hotel & Resort is located on the shores of the Shan Mountains. 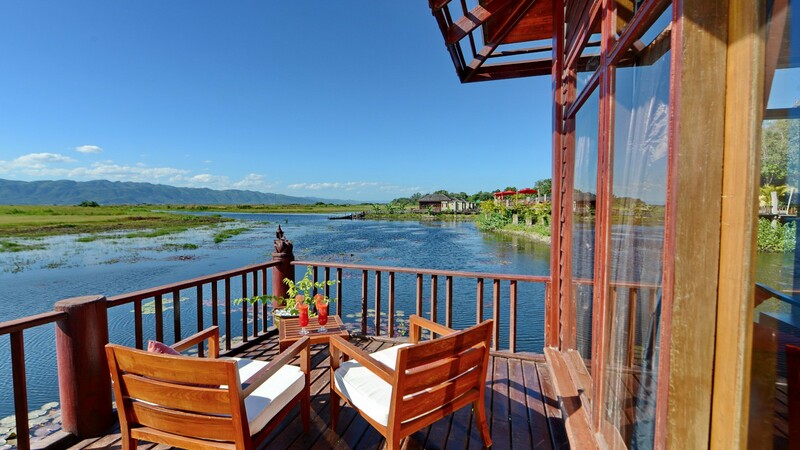 Inle Lake is a freshwater lake located in the Nyaung Shwe Township of Taung Gyi District of Shan State, part of Shan Hills in Myanmar. It is the second largest lake in Myanmar with an estimated surface area of 116 km2, and one of the highest at an elevation of 880 meters. 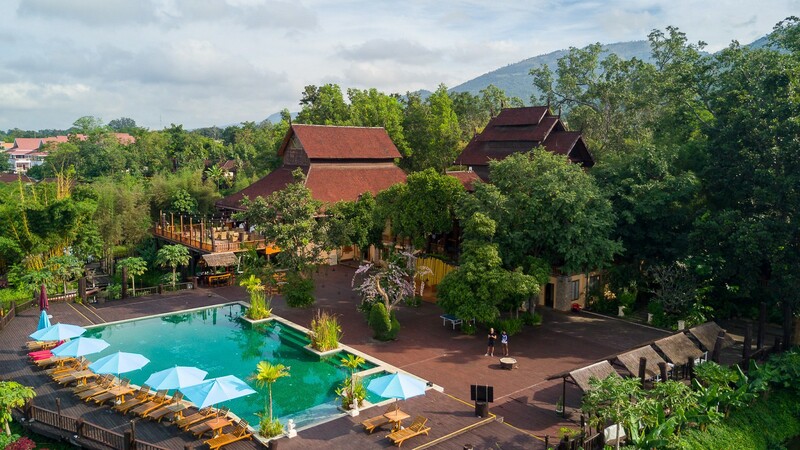 During the dry season, the average water depth is 2.1 meters, with the deepest point being 3.7 meters, but during the rainy season, this can increase by 1.5 meters. The watershed area for the lake lies to a large extent to the north and west of the lake. The lake drains through the Nam Pilu or Balu Chaung on its southern end. There is also a hot spring on its northwestern shore. Although the lake is not large, it contains a number of endemic species. Over twenty species of snails and nine species of fish are found nowhere else in the world. It hosts approximately 20,000 brown and black head migratory seagulls in November, December, and January. In June 2015, it became Myanmar's first designated place of World Network of Biosphere Reserves. It was one of 20 places added at the Unesco's 27th Man and the Biosphere (MAB) International Coordinating Council (ICC) meeting.